Chinese New Year is just around the corner! It’s the season of family reunions, ushering the new year with good fortune, and a week full of house visits. That being said, gifting during CNY house visits are an integral part of Chinese culture. The more lavish the gift, the greater your wish for their prosperity! For lavish, luxurious gifts that symbolise nothing but your best wishes, drop by Jasons Food Hall! 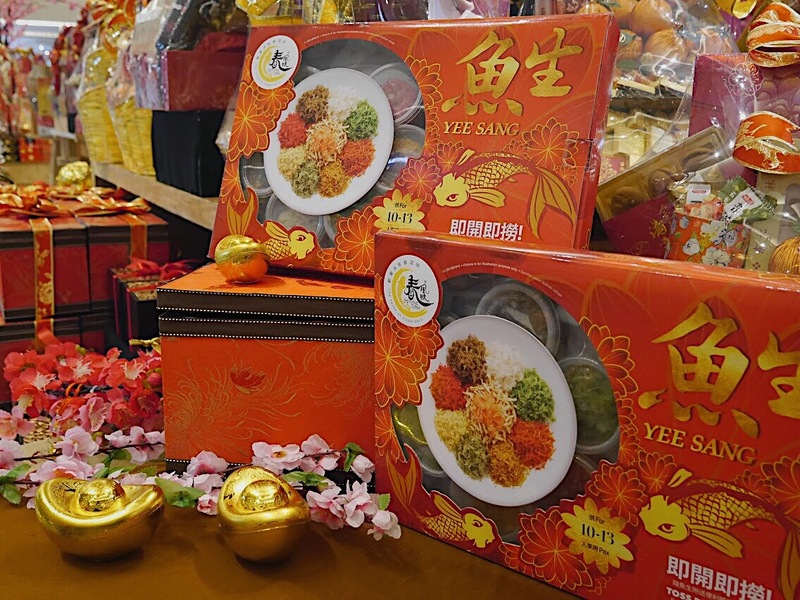 Usher in the year with prosperity, health, and all things auspicious with nothing other than Yee Sang! This traditional custom dish offers you strips of raw fish, mixed with slices of pickled vegetables and a variety of sauces and condiments, among other ingredients. Its ritual of tossing the mixed ingredients high in the air not only reunites families together but also symbolises the rising of fortunes in the coming year. Lou Hei! It’s big, it’s luxurious, and it makes you go Huat Ah! 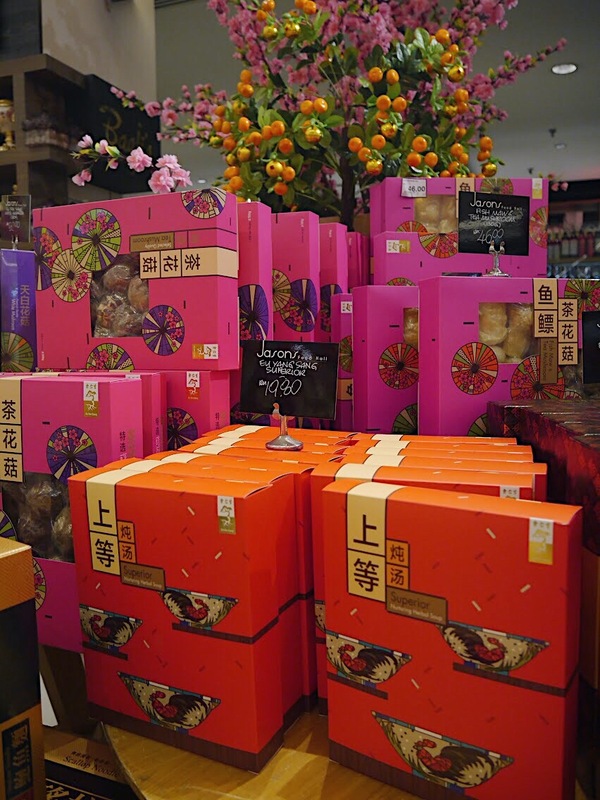 Jasons Food Hall has a wide selection of Chinese New Year hampers wrapped beautifully for your choice. Whether it be a gift for relatives, in-laws or business partners, there’s a hamper perfectly suited for every occasion. If you’re thinking of gifting something special yet capturing the oriental essence, this gift is for you. Jasons Food Hall has jewelry boxes that are crafted exquisitely from its floral patterns to its finishing touches. Its specialty is a bed of chocolates that lies within. It’s a beautiful gift with an element of surprise! 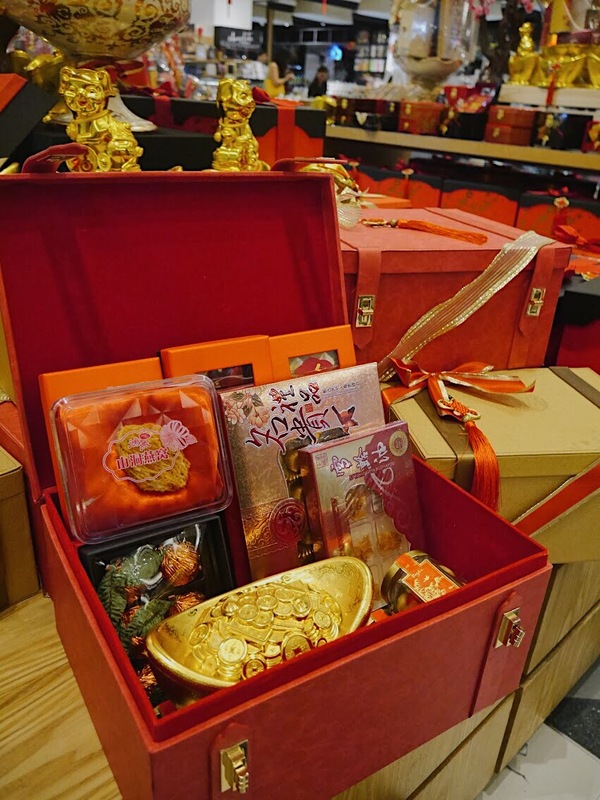 It’s not every day we get to discover treasure boxes, but why not gift it to someone this Chinese New Year? 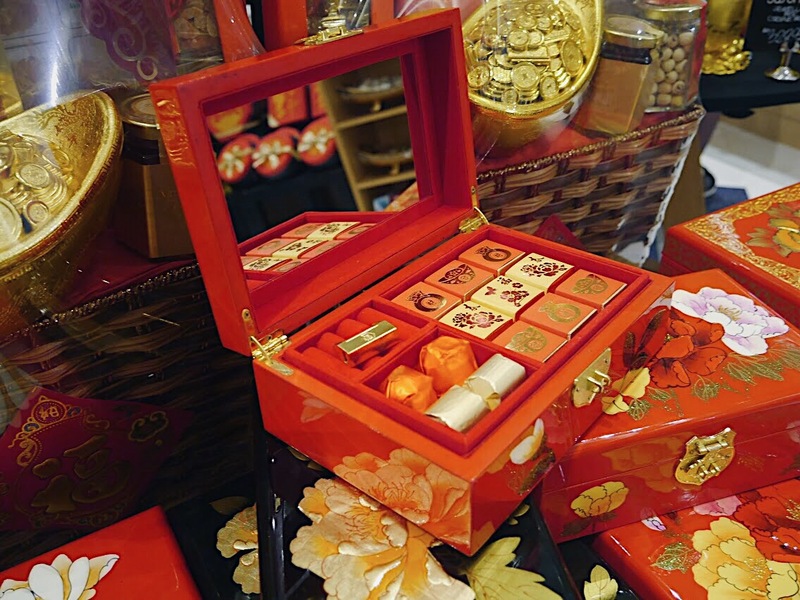 This treasure box with gold latches is filled with auspicious goodies that symbolises good luck and happiness. It comes in two colours of red and gold. Chinese New Year is definitely the time to indulge in snacks while playing card games. 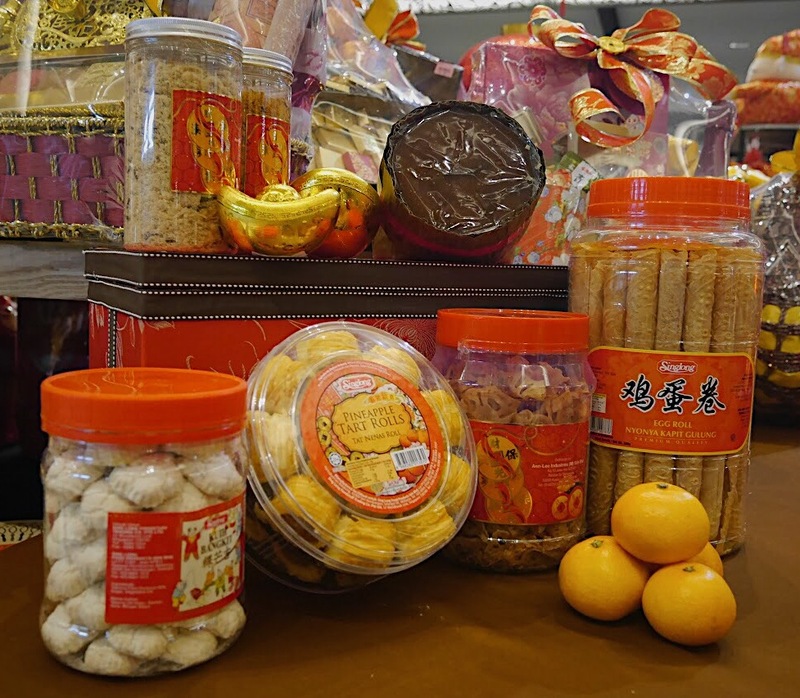 This season, Jasons Food Hall is offering an assortment of snacks, ranging from the popularly known pineapple tarts, savoury arrowroot chips, and the all-time favourite niangao. Pair them up with some mandarin oranges, and rest assured you can’t go wrong with this gift. This gift includes a mixture of abalone, mushrooms, scallops and herbal soup. These mouthwatering food aren’t just tummy friendly, but they also signify longevity, happiness and good fortune. Take your pick and pair them together whichever you like. It’s best suited for relatives and close friends where they can also be enriched by its nutritional values. Whether it’s red or white, whiskey or cognac, sharing a few good bottles during Chinese New Year is a great way to keep the spirits and laughter up. 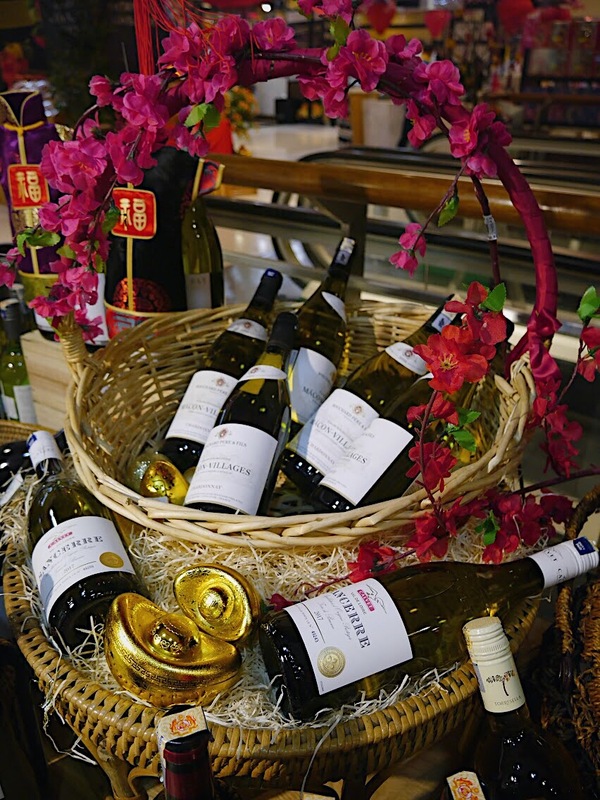 Ranging from affordable to premium, Jasons Food Hall has an extensive collection on their wines and liquor. These bottles of riches are precious gifts as they are shared in beautiful moments with family and friends. 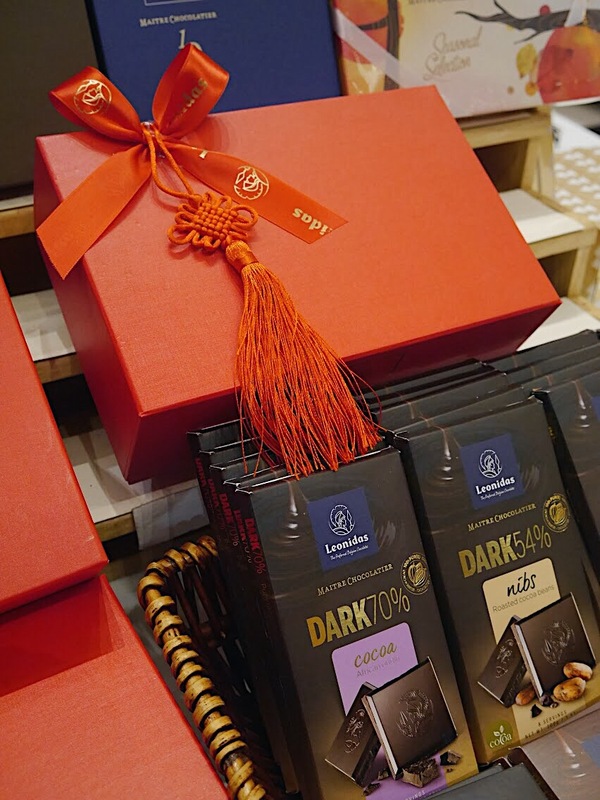 Apart from traditional sweets, chocolates are a modern adaptation of Chinese New Year. Select your favourite bars of chocolates and have them beautifully packaged in red by Jasons Food Hall. It’s both a delightful gift and it satiates the sweet tooth. I mean, who doesn’t like chocolates? 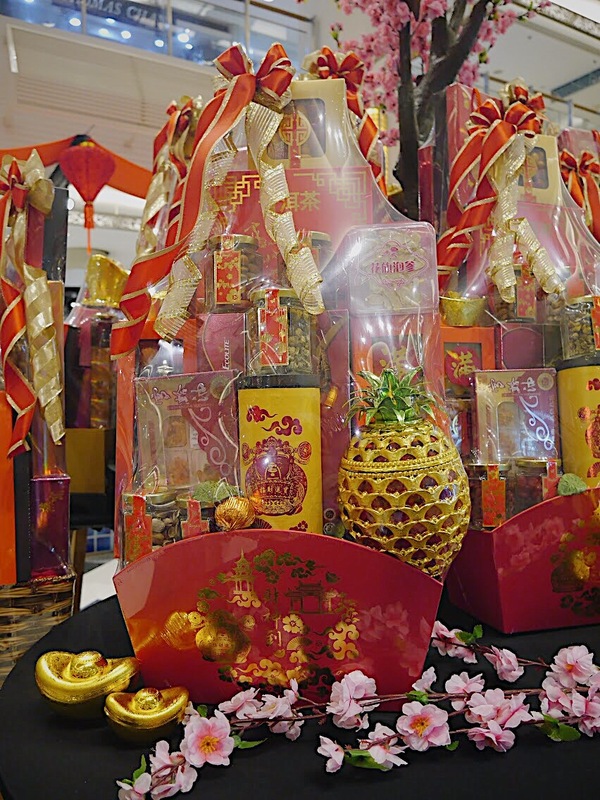 If you still haven’t picked up your CNY gifts, it’s still not too late! Simply make your way to Jasons Food Hall at Bangsar Shopping Centre, and pick up some of these auspicious goodies! Next articleBrandy vs. Whisky: What’s the Difference?